Choose from a selection of delicious flavours to create light and airy macarons, ideal for unique gift ideas or as a treat to yourself! If you have always wanted to master the art of macaron baking, this cookery class in London will give you the chance to perfect the skill! You'll gain first hand experience in making macarons, learning the techniques you need from a professional chef. Upon arrival at this Islington based cookery school, you'll be greeted by the chef that will lead the two-hour baking course, and step into a professional cooking studio with a relaxed and welcoming atmosphere. 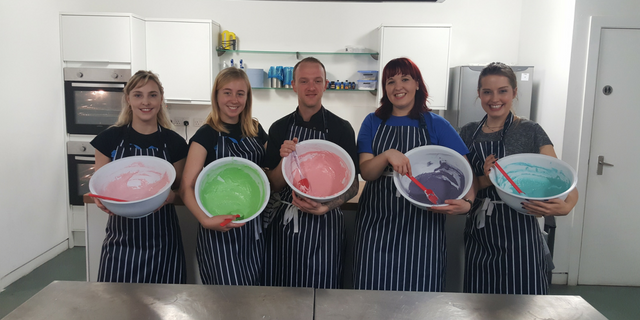 This unique, hands on experience will teach you an array of baking, colouring and mixing techniques, as well as how to use a piping bag. 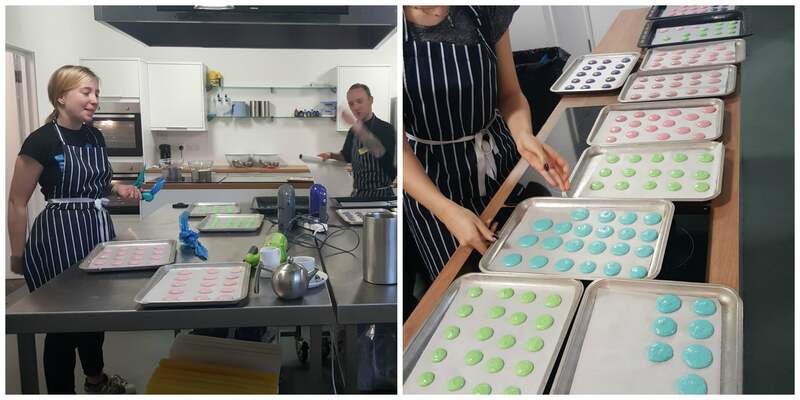 The class will give you the opportunity to learn skills that are not only perfect for macaron recipes, but also great for brushing up on baking techniques to use in a whole range of other recipes. 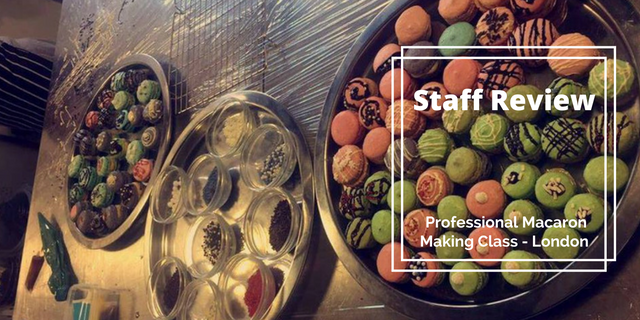 You'll be cooking classic multi coloured and flavoured macarons, and it's down to you to choose from the selection of flavours and fillings on the day. By the end of your unique experience, you'll be able to take home your works of art and show them off to family and friends. This Macaron making class is the ideal gift for baking beginners who want to learn the main elements of baking or for expert baking boffins who want to perfect their skills even further in the kitchen. 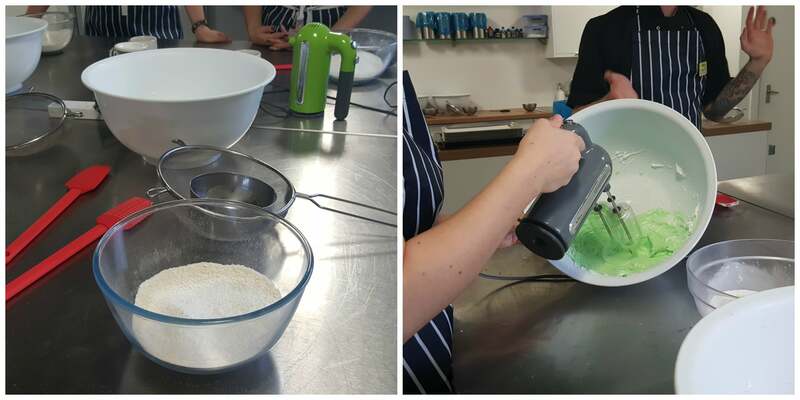 This cookery course is the perfect opportunity to learn from the professionals in the kitchen and gain first hand experience in expert baking! Classes run approximately twice a month, subject to availability. Please note: These dates are subject to availability at the time of booking. The minimum age is 16. For those who are under the age of 16 can either come along with an adult who is participating or they can wait in the waiting room. Please make any dietary requirements known upon booking. This is a two and a half hour cookery class. Participants: The Professional Macaron Making Class - London is for 1 participant. The weather should not affect your macaron making class. I love macarons and I have been waiting for the perfect class to take to learn how to make them. 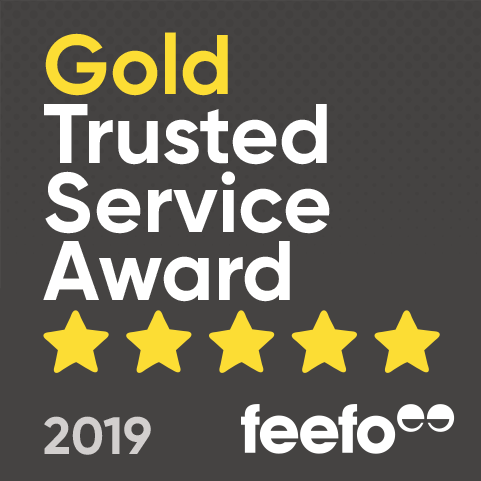 Andrew was so helpful and professional and it was so much fun - and not too hard at all! I would recommend to anyone and may even go back again myself! This was the best cookery class I've been on yet! The chef Andrew was a brilliant teacher and the kitchen itself is nicely laid out. Worth a visit! When you hear about the sweet, chewy meringue-like treat of Macarons, to me even the name sounds fancy and I can guess that they’d be challenging to make. But, after attending a Macaron Making Class in London this week, I’ve been proven wrong and can now proudly say I would be able to recreate these at home. Our lesson could not have taken place in a more charming location than Jenius Socials’ kitchen in Islington, London, or led by a better chef than Andrew. Our experience started by hopping on the tube to Highbury & Islington, then a short walk from the station to the kitchen which was easily found with the good ol’ help of Google Maps. We were met by the lovely Jennifer, owner of Jenius Social, and welcomed into the seating area at the front of the shop. As we prepared our cameras and the other guests for the class arrived, we were offered complimentary tea and coffee which was warmly welcomed in this horrible November weather! Next, it was time to get our aprons on and get cooking! Andrew provided a demonstration of the first step and I offered a helping hand as his (not so glamorous) assistant. It was a two man job, as one person whisks the egg whites whilst the other gradually adds caster sugar – then it was our turn to have a go. You know the mixture is ready when you turn it upside down, and the soft peaks stay in the bowl – it’s risky testing it however! You then add a few drops of your desired food colouring and give it a final whizz to mix it all together. Following this, you sieve the ground almonds and icing sugar together to ensure there are no lumps that would ruin the soft texture. We then carefully folded this into our meringue mixture using a method called ‘scratching’ so that we wouldn’t lose any of the worked in air. Now comes the tricky bit, as warned by Andrew – piping the macarons to be the same size in order to make the perfect, even sandwich shape. The room fell silent as we all focused intently on making sure they were perfectly piped. They then went in the oven and we enjoyed a 10 minute break as Andrew closely watched the oven and our delicious bakes. Once the macarons were out the oven and set out to cool, we made the buttercream filling by whisking butter, icing sugar and our chosen vanilla flavouring. We were then let loose with decorations, with a selection of different items from sprinkles, to chocolate balls and melted chocolate. Our macarons were finally finished and we of course had to try one (or a few!) before packing them away to take home and share with the office. This Professional Macaron Making Class in London was the perfect taster for a cooking class newbie like myself and I am excited to try making them again at home. Thanks again to Jennifer and Andrew for this expertly run class, we had a great time! Can anyone under the age of 16 take the Professional Macaron Making Class in London? Providing that you come with an adult who is either participating or happy to wait in the waiting room, there is no reason why they couldn't take the Macaron class in London.